As part of a programme to drive more collaboration between the two world-leading universities, Pybus began his new role as Professor of Infectious Diseases at the RVC in November. He will work to strengthen the RVC’s research base in pathogen evolution and epidemiology, as well as to explore ways in which the RVC and Oxford’s Department of Zoology can work together on research, building on complementary skills and interests across a range of fields in biological science. 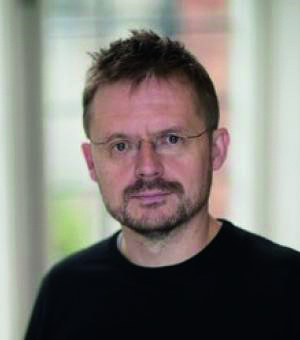 Previously, Pybus, who is also Professor of Evolution and Infectious Disease at the University of Oxford’s Department of Zoology, has worked with RVC academics such as Professor Fiona Tomley, Dr Nicola Lewis and Dr Guillaume Fournie, primarily on avian and swine influenza viruses and the driving factors that lead to the emergence of highly pathogenic and zoonotic strains. Applying evolutionary principles to other globally important pathogens is a major goal of this partnership between Oxford Zoology and RVC.